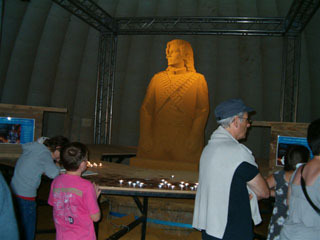 We have received a report from Michael fan Rika Capon, who visited the sand sculpture of Michael in Blankenberge, Belgium. The exhibition took place throughout the month of August. 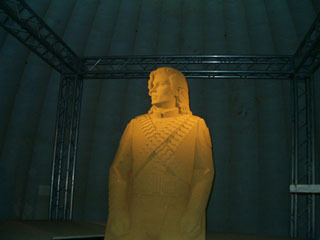 The sand sculpture of Michael Jackson in Blankenberge, Belgium. 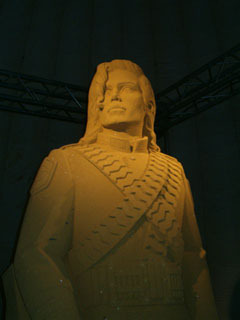 I visited the sand sculpture of Michael in Blankenberge. It is a very beautiful one and a lot of people young and old have visited it. You could light a candle for Michael and there were two cuddly animals left there for Michael. There was also a condolence book which was full! 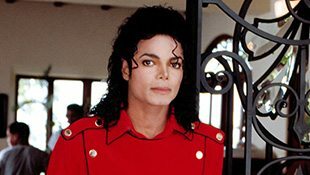 There was a TV screen where they were continually playing the Dangerous Tour and people could sit down on a chair to watch Michael in action. Most of them were watching in amazement. 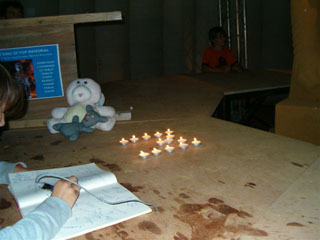 I lit fourteen candles for my special friend and placed them in the M sign. A young girl took the other candles and made the J sign next to my M. I told her it was a great thing she was doing. Here are some pictures I took whilst I was there.